TDLI presents the KX-NS700 Compact Unified Communications Platform to protect your investment. Starting a Business or Moving? Looking to save money every month? TDLI can move your existing equipment or provide an entirely new system for you at your new location. Whether it's a new phone system or servicing an existing system, TDLI has the experienced staff to ensure top level service. Starting at just $19.95 per month! We are ready to assist you with all phases of planning, design, installation and maintenance for data and voice systems for your business or home. We use the latest technology and deliver it to you at a very reasonable and low cost. Learn how you can keep your costs down by investing in voice and data for your business. Moving your business and worried about your phone lines? Don’t worry, we’ve got you covered! If your business phone system is malfunctioning, TDLI is here to resolve the issue. When you are starting a business, relocating your office, or need to save money on your voice and data service each and every month, contact TDLI Communications Corp. Our team of experts offer cost-effective solutions to all your office communication needs. Any questions asked about hosted VoIP systems premised based IP phone systems, voice & data cabling or a traditional PBX system, will be met with answers you deserve by our experienced staff. For more information, please feel free to contact our offices at (631) 913-0226. TDLI is an authorized Optimum provider. We can order, schedule and coordinate all of your internet, dial tone and TV services for your new office without any hassles or downtime for you. Additionally, we offer our own VoIP systems, SIP trunking and hosted solutions starting at just $19.95 a month providing top-notch state-of-the-art unified communications equipment. TDLI also repairs and refurbishes your owned products and even offer sales of quality refurbished components for your older telephone systems. We repair and refurbish Panasonic, Avaya Partner systems and even various telecommunications equipment from other manufacturers. Whether needing a new phone system or requesting service on your existing system, TDLI’s friendly, efficient staff will ensure that you receive top level service. Our representatives are available 24 hours, seven days a week to handle any and all of your emergency needs. 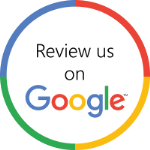 Tell us more about how we can help your home or business.